An Act to Establish a National Park Service, 8/25/1916. The idea of creating National Parks - setting aside land to be owned by the American people in perpetuity, for the public's pleasure and national pride - was an American innovation. The first example of this dates back to 1872, when the US federal government under President Ulysses S. Grant designated Yellowstone as a "public park or pleasuring-ground for the benefit and enjoyment of the people," creating the first and oldest National Park in the world. The concept of national parks spread worldwide as the US designated additional parks and other nations began to establish their own. The 1916 Organic Act ensured the future of America's National Parks by creating a special federal bureau under the US Department of the Interior to be their stewards, and to manage and preserve them. 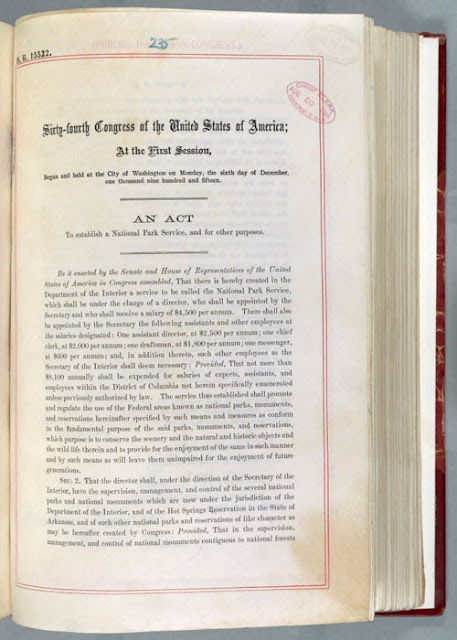 - The National Archives in Washington DC is displaying the Organic Act of 1916 in a special exhibit throughout August. more than mountains, forests, lakes, and geologic wonders. 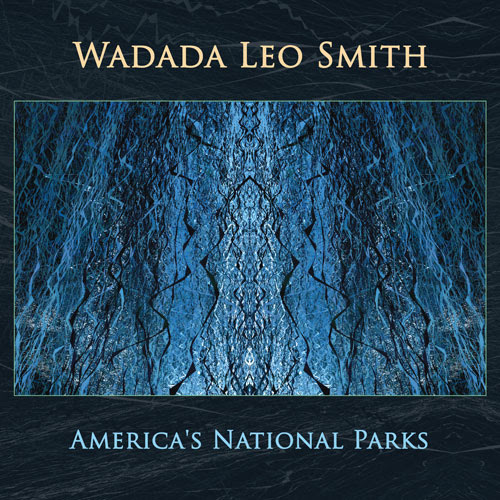 Cuneiform Records' release of Wadada Leo Smith's America's National Parks auspiciously coincides with the 2016 National Parks Centennial celebrations. Wadada Leo Smith is one of America's leading composers and trumpeters and one of the most respected creative musicians in the world. His recordings and performances have been acclaimed by the international music press, and the Ankhrasmation scores he creates for some music are now in the art world's spotlight, currently exhibited at the Hammer Museums' Made in L.A. 2016 exhibit and lauded with a 2016 Mohn Award. 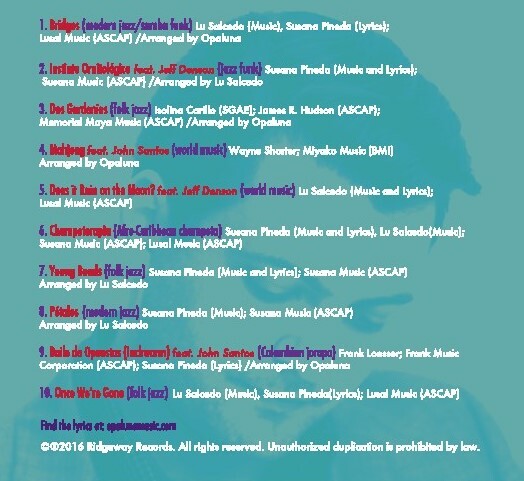 Smith's prior release on Cuneiform was Ten Freedom Summers, a four-disc set celebrating the American Civil Rights Movement, for which he was named one of the 3 finalists for the 2013 Pulitzer Prize for Music. America's National Parks follows in the musical, conceptual/political and spiritual footsteps of Ten Freedom Summers, continuing Smith's dedication to celebrating America's best ideas, most monumental achievements, and most noble ideals. 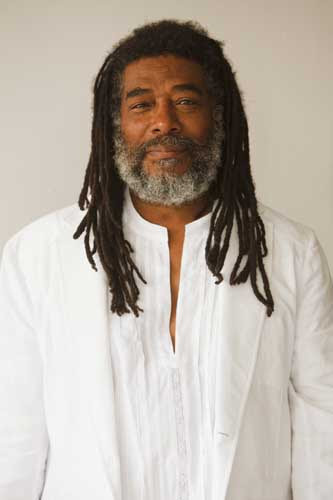 Music composed by Wadada Leo Smith. 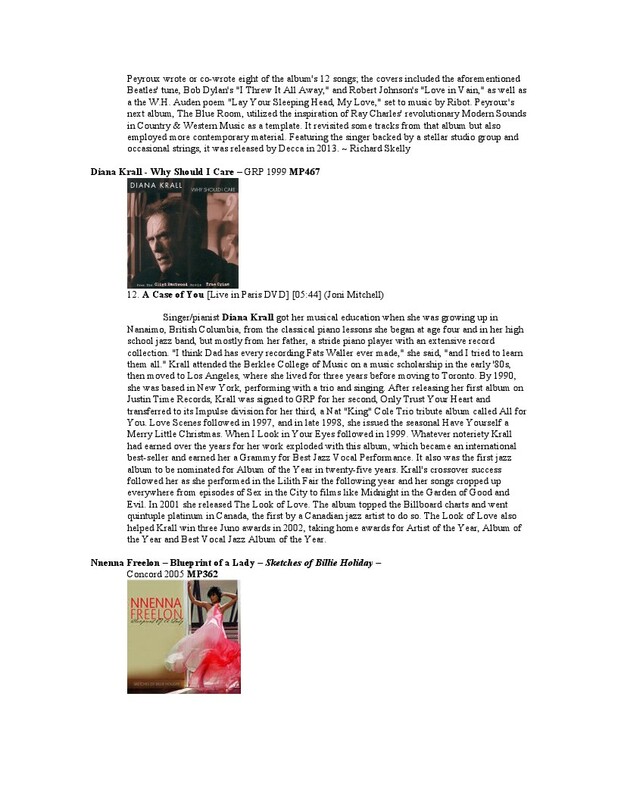 Published by Kiom Music, ASCAP. at Firehouse 12 Recording Studio, New Haven, CT. Mastered by Gene Paul at G&J Audio, Union City, NJ. Art and Yosemite National Park photography by Jesse Gilbert. "Opaluna's music is filled with creativity and passion. They inhabit a colorful world of sound, beauty and social consciousness that crosses cultural and musical boundaries and really draws you in." 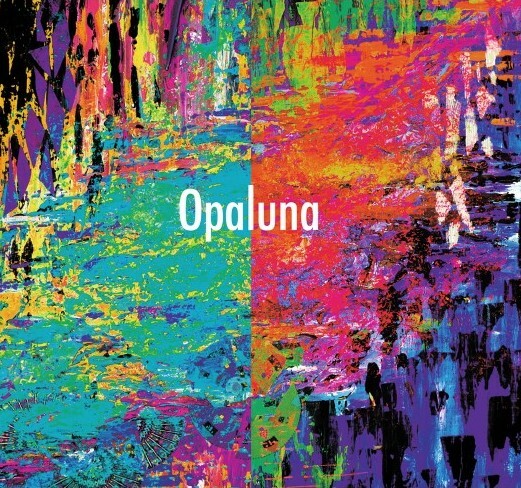 Bridging continents, cultures, languages, and musics, Opaluna weaves together a rich variety of influences and impressions to craft a vivid and decidedly modern spectrum of sound. 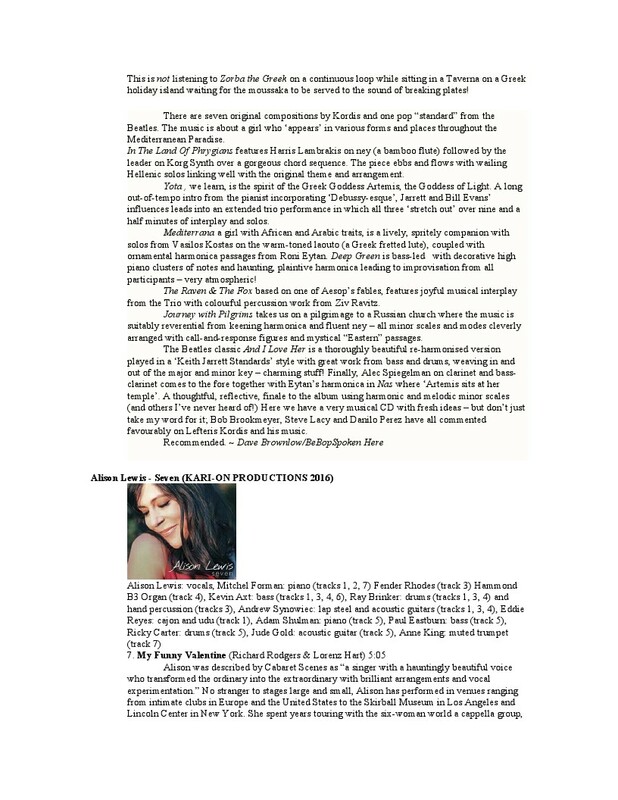 On their self-titled debut, due out August 26 via Ridgeway Records' Rising Star series, versatile vocalist Susana Pineda and inventive guitarist Lu Salcedo freely explore Latin rhythms, electronic textures, rock grooves, folk expressiveness and genre-spanning jazz freedom in a distinctive and entrancing duo setting. "Opaluna" combines the name of a multicolored gemstone with the Spanish word for "moon," capturing the duo's hybrid identity in a single word: two languages combining to form one meaning, a combination of vibrant colors and bold luminescence. 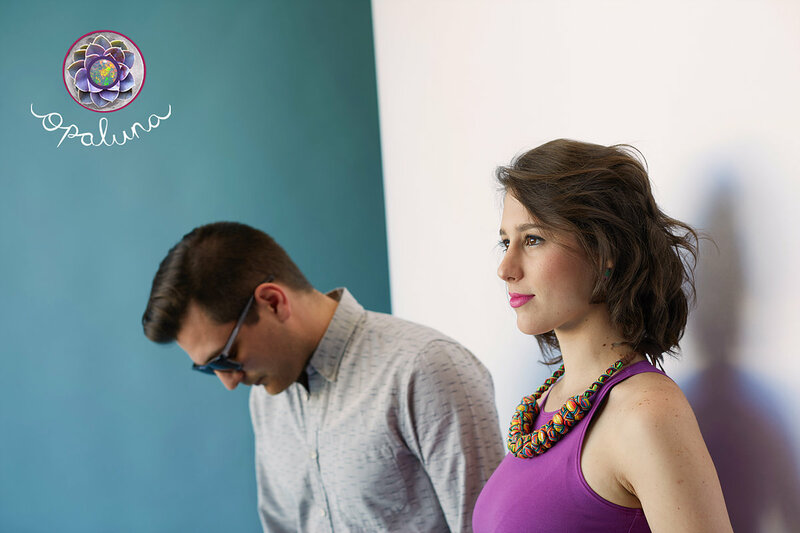 Like their name, Opaluna's sound is also a portmanteau, bringing together two singular voices into one harmonious sound. 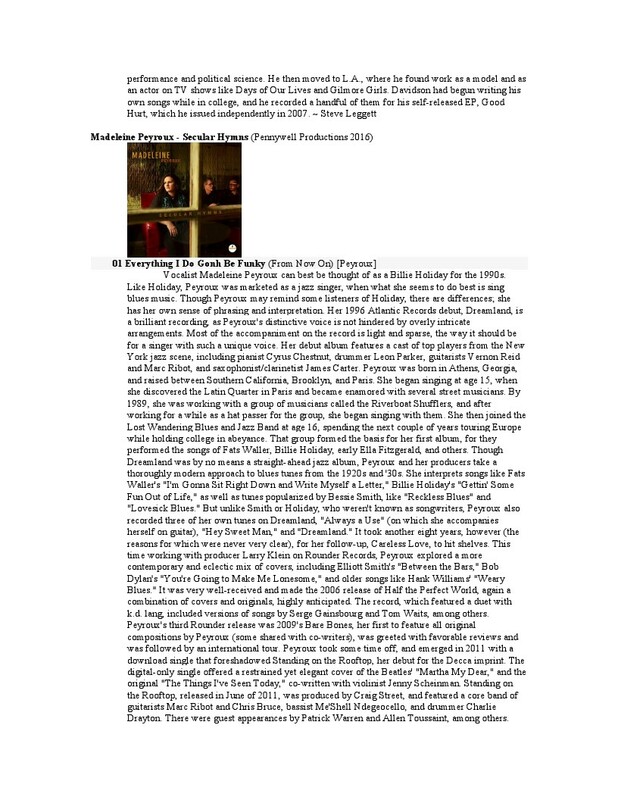 Pineda melds the sounds and traditions of her native Colombia with a passion for modern jazz, while Bay Area native Salcedo brings his rock background and penchant for experimentalism together on the frontiers of Latin-inflected jazz. "Our music is a blend of two cultures, two stories, two backgrounds and two languages creating one," says Pineda. Salcedo continues, "We didn't want to do something that had been done before. Working together, we got very excited about how much we could do." The pair met while both were students at Berkeley's California Jazz Conservatory. Pineda began studying jazz in her hometown of Medellín but decided to move to the States in 2013 at the encouragement of her mentor, singer Claudia Gómez. She chose CJC due to the program's emphasis on a range of Latin traditions supplementing its core jazz focus. 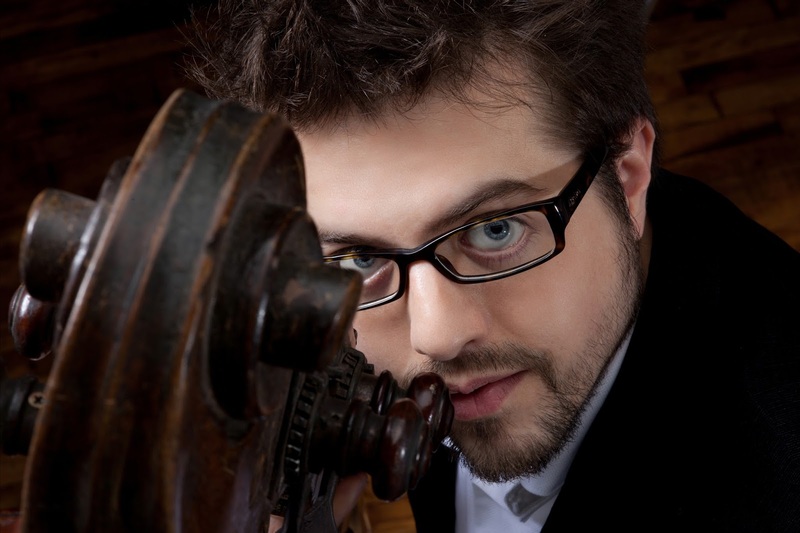 Salcedo came to the school with a more straight-ahead jazz interest, but his partial Mexican heritage led him to begin exploring Latin music. He and Pineda came together in a class on Afro-Venezuelan music and soon recognized their shared passions. 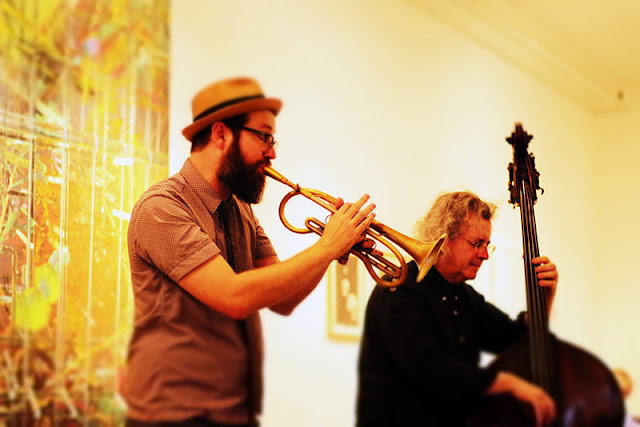 Soon the duo embarked on a journey of sonic experimentation, at first playing music for one another, then arranging jazz standards together to determine a common ground, and finally improvising together in an effort to discover a unified voice. "We would start from scratch, just improvising out of nowhere and seeing what happens," Pineda recalls. 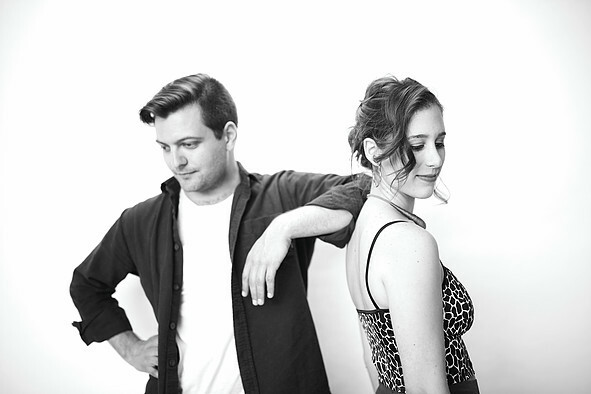 "We knew that we didn't want to do the traditional swing thing or play bolero normally. We wanted to blend everything we are, and we wanted to do it in a modern way." A professor at CJC, Ridgeway Arts founder Jeff Denson heard the burgeoning duo during a lesson and immediately sensed a special chemistry in the nascent pairing. He invited them to record for the San Francisco-based non-profit's Ridgeway Records label, mentoring them through the process from a crowd-funding campaign through recording and post-production, producing the album at the legendary Fantasy Studios and also contributing his remarkable bass sound to three tracks. Fellow CJC faculty member and Bay Area percussion legend John Santos also guests on two cuts. "I was drawn to Opaluna's music and wanted to produce them because of their creativity and passion," Denson says. "They inhabit a colorful world of sound, beauty and social consciousness that crosses cultural and musical boundaries and really draws you in. Working with Susana and Lu at the California Jazz Conservatory, I found them to be sincere, motivated young artists that care deeply about their craft. I wanted to mentor them further with the creation of their debut recording because I believe in their vision and see their great potential. Now more than ever, the world desperately needs art and music that inspires creative thought, generosity and compassion and Ridgeway Arts seeks to promote artists and projects with this same goal in any way that we can!" Both members of Opaluna give Denson ample credit for helping to hone their sound and teach them invaluable lessons. 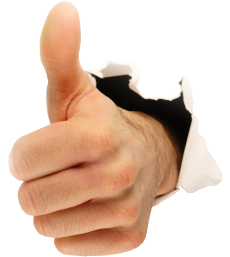 "Jeff is an amazing musician, and having the opportunity to engage in a back and forth with him about musical aesthetics was extremely helpful," says Salcedo. To which Pineda adds, "He always wanted to keep Opaluna and not change who we are. He just wanted to take our music and our sound to another level." Opening track "Bridges" sums up Opaluna's approach while paying homage to the multi-cultural diversity of their Bay Area home. "It's pretty startling to be able to walk down one street and travel the world at the same time," Salcedo says. "The song is a metaphorical journey form one side of a bridge to the other, and during that trip across the bridge it changes feels and tempos from one cultural subject to another, which is something that really resonates with us because we're trying to bridge all these different stories and backgrounds." The album is itself a journey, beginning with the chirping samba-funk of the co-written "Bridges" and continuing through the intoxicating sway of "Instinto Ornitológico," with Denson on bass and backing vocals. The Cuban classic "Dos Gardenias" is rendered with a swirling romantic atmosphere, cut through by Salcedo's incisive solo, while Wayne Shorter's "Mahjong" starts as a folk tune with a supple wordless vocal and percussive acoustic guitar before being subsumed in a psychedelic haze. Salcedo wrote the intense "Does It Rain on the Moon?" with lyrics taken in part from the immortal children's tale "The Little Prince." A fluid Afro-Caribbean groove fuels "Champeterapia," while both the wistful "Young Bonds" and the ethereal "Once We're Gone" were built around Pineda's evocative poetry. Pineda's "Pétalos" is an intimate take on modern jazz, while "Baile de Opuestos" reimagines the childlike standard "Inchworm" as a Colombian joropo. After spending three weeks touring Colombia this summer, Pineda and Salcedo's collaboration has truly bridged the duo's respective cultures. Their musical partnership has been an ongoing voyage of discovery, resulting in an uncategorizable sound that finds them meeting somewhere in the middle - or, perhaps, some other, completely unexplored new territory. "After all this time playing together," Salcedo says, "everything morphs into what we both need it to be." 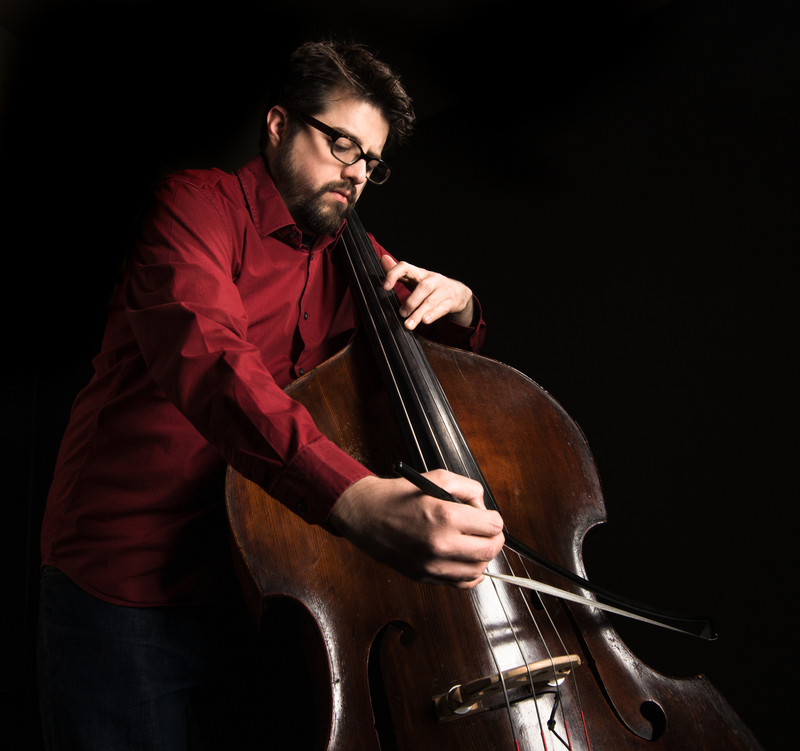 Bay Area bassist/composer/vocalist Jeff Denson is a man on a mission. He's just back from performances in Baltimore and DC celebrating his "dazzling" new CD Concentric Circles and has a slew of CA dates with his quartet this fall. He's also touring in Europe with Lee Konitz and throughout California as a part of guitarist Joel Harrison's Spirit House Band with Cuong Vu on trumpet and Brian Blade on drums. 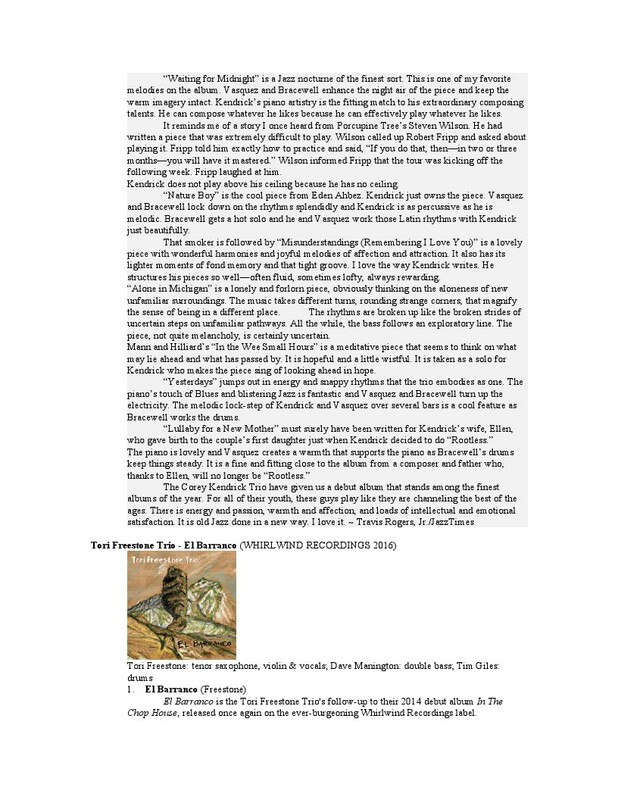 As David Wiegand noted in the San Francisco Chronicle, "Denson is a man of many talents." Those talents include not only being an in-demand player, but also overseeing his innovative non-profit Ridgeway Arts and teaching at the California Jazz Conservatory, where he is a full professor. Jeff is the executive producer of Ridgeway Radio, which be featuring free bi-monthly podcasts of interviews. 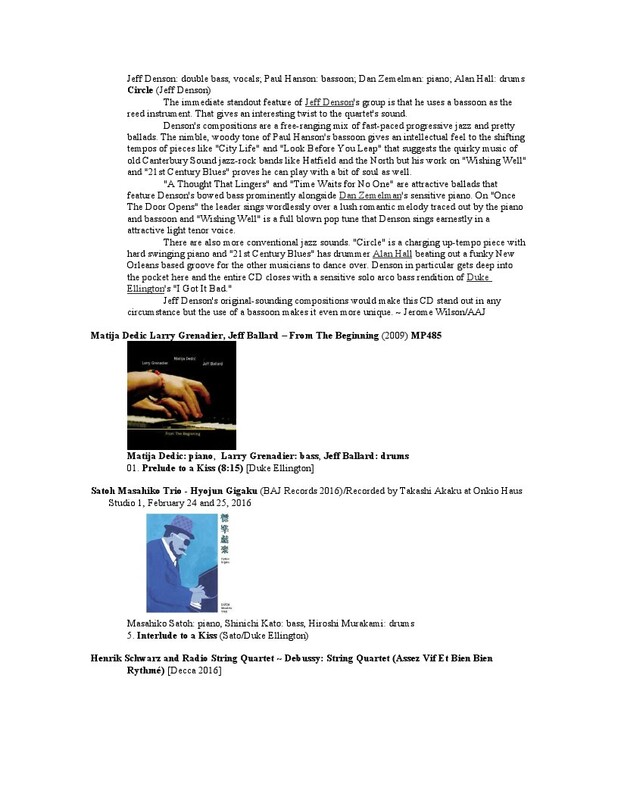 August interviews include pianist Vadim Neselovskyi, singer-songwriter Megan Slankford; September will feature vibraphonist/composer Warren Wolf, violinist/composer Mads Tolling; October's interviews will be trumpeter/composer Cuong Vu, electric bassist/composer Kai Eckhardt; and in November vocalist/composer Tammy Scheffer will be featured. 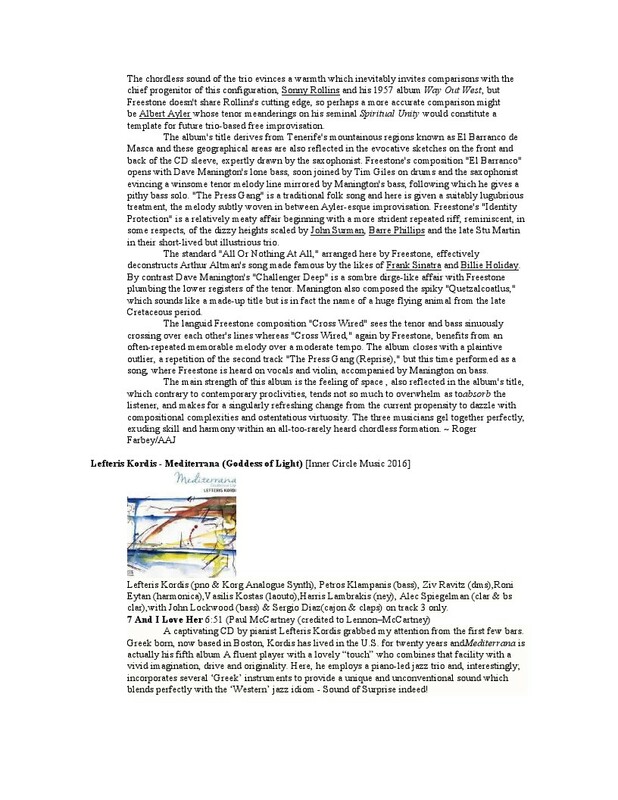 Denson's Ridgeway Records releases the Opaluna's selfititled debut CD as part of its Rising Star series and in September will release Metal na Madiera by Ian Faquini & Paul Santoro. In addition, Ridgeway Presents will feature Bay area workshops and performances by Vocalist Tammy Scheffer, August 31 - September 3 in Napa, San Jose, Berkeley and San Francisco and Denson will work with the Napa Valley High School Big Band and present a September 25 concert at Silo's with the high school band and his quartet. 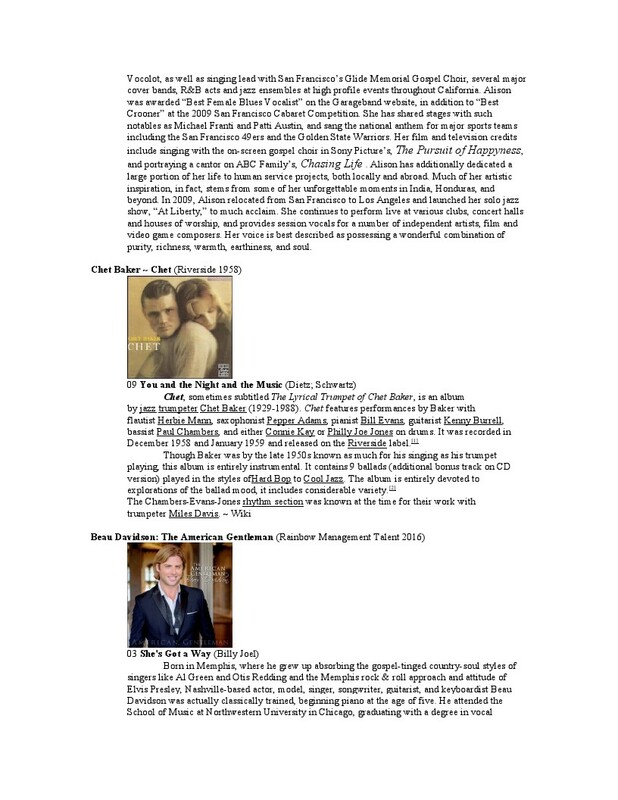 Other artists coming on Ridgeway Presents include pianist Karl Ikonen, March 30 - April 2, 2017. 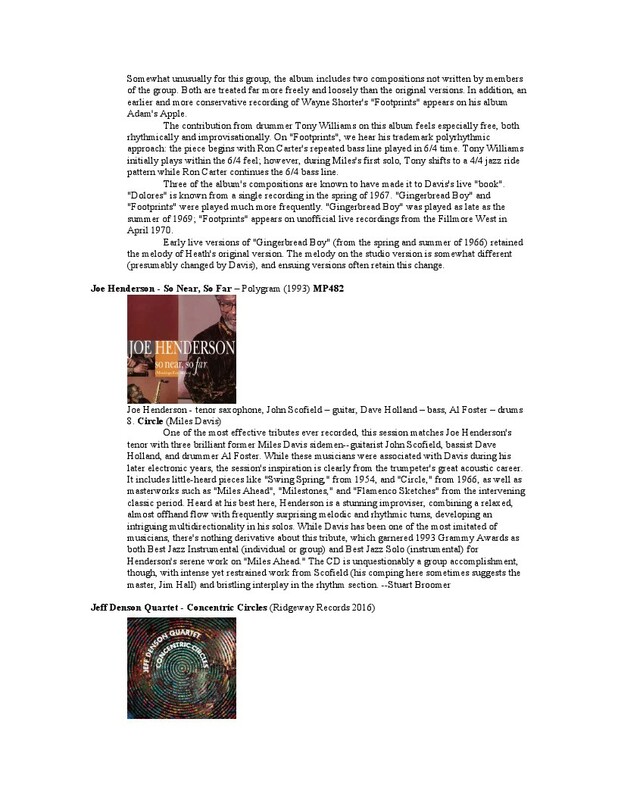 Playlist Summary for Tom Ossana / Dane Brewer – The Thin Edge – August 24, 2016 MST 7:00 to 9:00p.m. Britain's renowned bassist Geoff Gascoyne, with help from Tom Cawley - piano, Sebastiaan de Krom - drums, is the first serving on tonight's jazz menu. 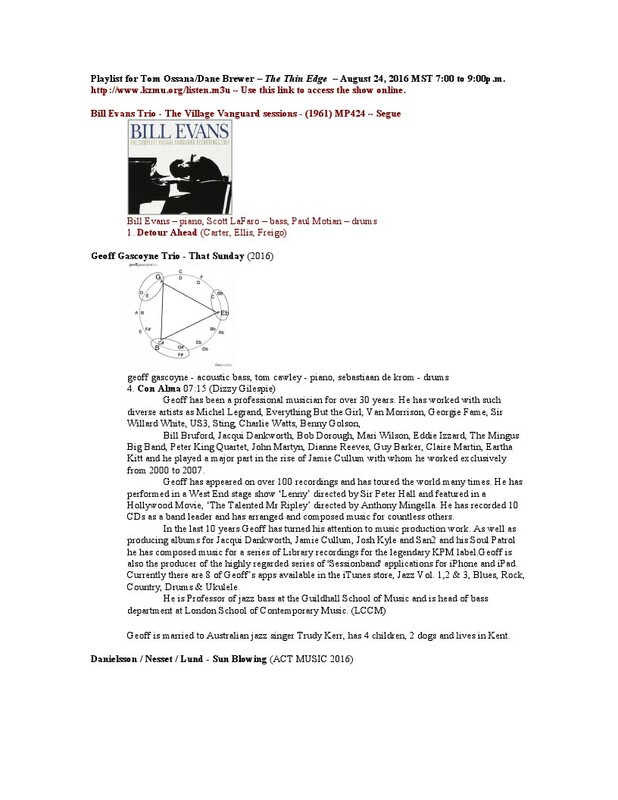 The trio covers Dizzy Gillespie's standard "Con Alma" from Geoff's tenth outing as a leader, That Sunday, released this year. 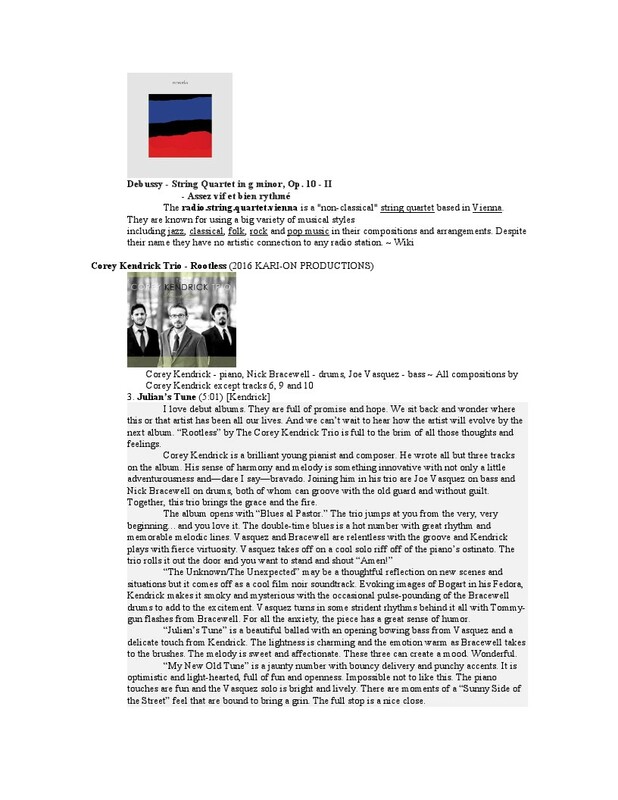 New from ACT Music we get the bass, tenor and drums trio: Danielsson/Nesset/Lund's Sun Blowing covering Don Grolnick's "The Cost of Living." Hampton Hawes Trio follows with their take on Johnny Mercer and Henry Mancini's "Days of Wine and Roses" from the 1965 Contemporary Here and Now. Chuck Israels (b) and Donald Bailey (d) round out the trio. Columbia's 1966 Miles Smiles, one of my all-time favorites, wraps up this half with their up-tempos treatment of Jimmy Heath's "Ginger Bread Boy." 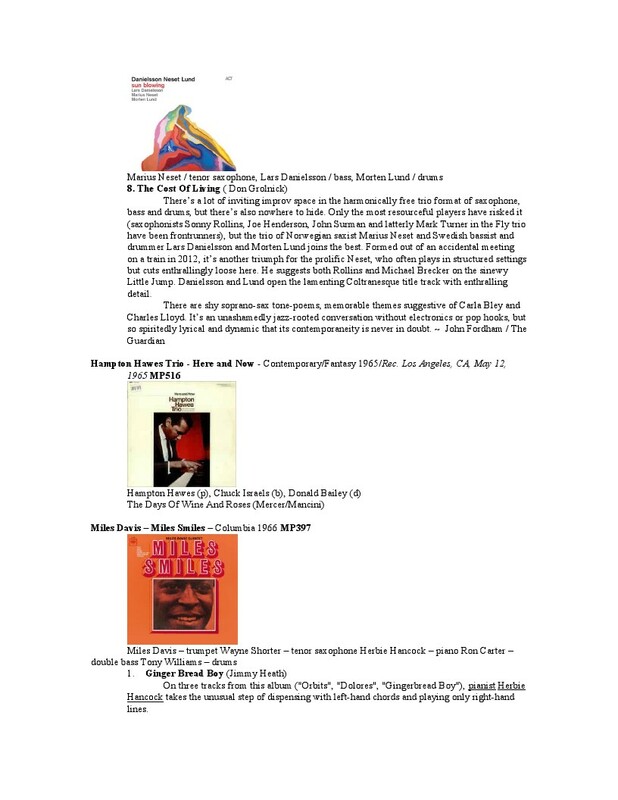 Miles' third great quintet features Wayne Shorter, Herbie Hancock, Ron Carter and the blazing drums of Tony Williams. Hancock's solo is unique with his left hand tied behind his back. Joe Henderson gets the second half started with his 1993 Polygram So Near, So Far. Wildly popular in the 60s post bop era, the fifty-six year old saxophonist demonstrates his continuing bona fides covering Miles' "Circle" with help from notables John Scofield (g), Dave Holland (b) and Al Foster (d). Newcomer Jeff Denson Quartet follows with a performance of his unique idea of a "Circle" from his 2016 Ridgeway Records' Concentric Circles. 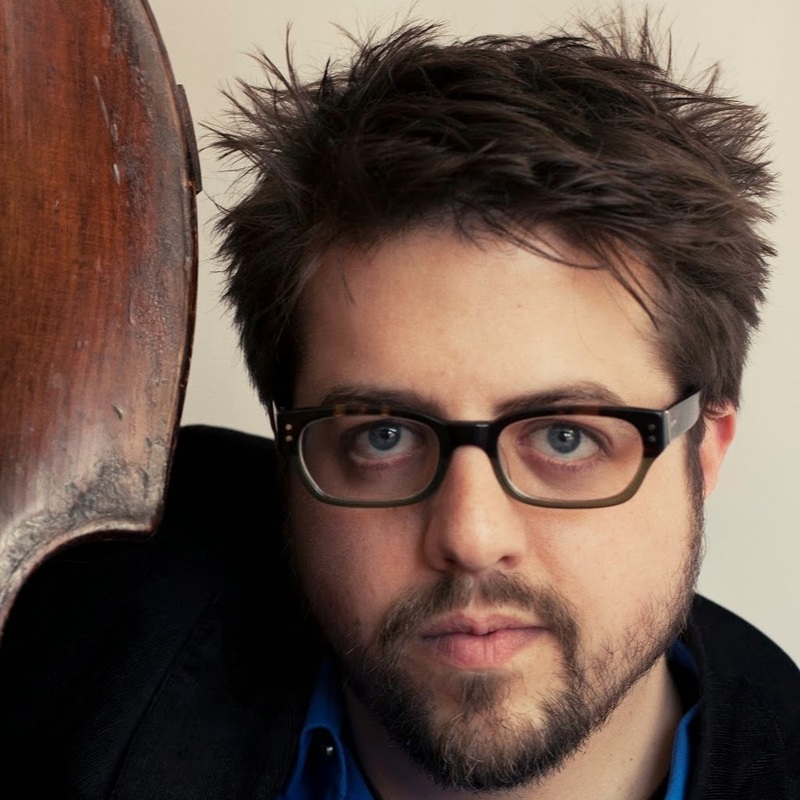 The forty year-old American bassist's group includes Dan Zemelman (p) Alan Hall (d) and the unique voicings of Paul Hanson's bassoon. The highly regarded Matija Dedic/Larry Grenadier/Jeff Ballard trio is next tackling Duke Ellington's "Prelude to a Kiss" from the 2009 From the Beginning. Satoh Masahiko Trio returns with uncharacteristic Japanese jazz whimsy with their upside-down take on the previous track, retitling and reworking the Ellington tune into "Interlude to a Kiss" from the 2016 BAJ Records' Hyojun Gigaku. Eerily similar to the 1959 Shostakovich: Cello Concerto n.1 op.107 - 1st movement and its jazz proclivities, we get Henrik Schwarz with the Radio String Quartet performing Debussy's String Quartet (Assez Vif Et Bien Bien Rythmé), the second movement conceived circa 1893, similar in its approach to Shostakovich's work. It sounds like jazz to me, exciting considering that when we think of Debussy, the classic " Clair de Lune " comes to mind. Corey Kendrick Trio follows with Kendrick's "Julian's Tune," a title I'm guessing is a reference to the late Cannonball Adderly. Nick Bracewell (d) and Joe Vasquez (b) round out the trio from KARI-ON Productions' 2016 Rootless. Tori Freestone Trio returns with the title track from her 2016 Whirlwind Recordings' El Barranco. Tenor saxophonist Tori's group includes Dave Manington (b) and Tim Giles (d). New to the show from his 2016 Inner Circle Music release, Lefteris Kordis' Mediterrana (Goddess of Light), follows with a sensitive cover of Paul McCartney's "And I Love Her." 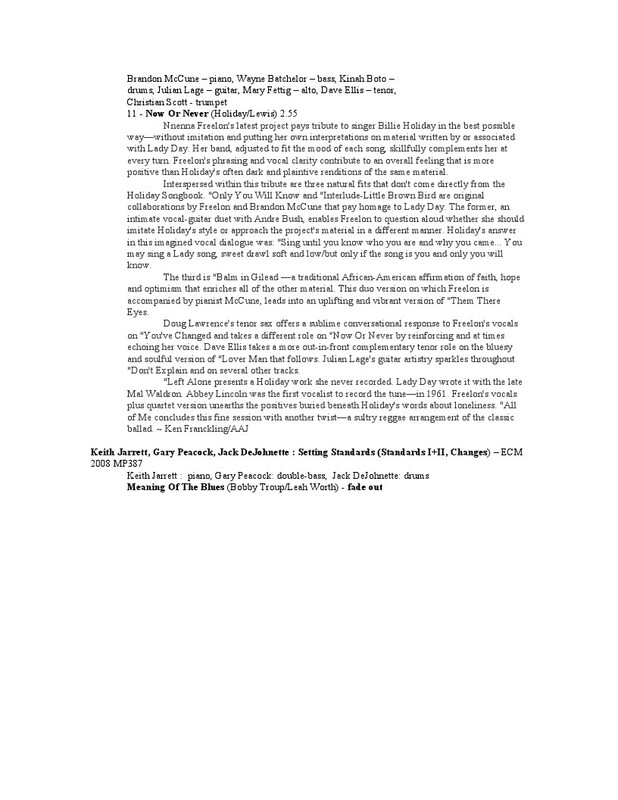 Although jazz is generally about love and loss, the Romantic Half-Hour has become an increasingly popular segment of the Thin Edge. Let's keep that loving feeling growing with newcomer Alison Lewis and her 2016 KARI-ON Production's Seven in which she interprets Rodgers and Hart's "My Funny Valentine," a tune that seems more palatable coming from a female vocalist. "Your looks are laughable, unphotographable . . . " are lyrics a man would think twice before saying to his sweetheart. From Chet Baker's 1958 Riverside Chet we get his take on Dietz and Schwartz's "You and the Night and the Music." The all-star lineup includes Bill Evans (p), Herbie Mann (fl), Pepper Adams (bs) and Kenny Burrell (g). Memphis born Beau Davidson, new to the show, follows with his take on Billy Joel's "She's Got a Way" from his 2016 Rainbow Management Talent The American Gentleman. Madeleine Peyroux returns with her new Pennywell Productions' Secular Hymns in a performance of her "Everything I Do Gonh Be Funky." All the way from Holladay Farms' Jules, we get the correct version (according to her) of Joni Mitchell's "A Case of You," this time from Diana Krall's 1999 GRP Why Should I Care. The inimitable Nnenna Freelon closes this intimate half-hour with a cover of Billie Holiday's "Now or Never" from her 2005 Concord Blueprint of a Lady. Brandon McCune (p), Julian Lage (g), Dave Ellis (ts) and Christian Scott (tp) underpin the performance. Black is the colour of the rabbit that is being chased across the field. Nimbly, swiftly and rapidly is he changing his directions, steered by a navigation system that is musically fed by three individualistic musicians who, according to themselves, have finally found each other. Lucien Dubuis and Barry Guy have crossed their paths years ago and already back then realized that there was a special spark. It must have been the 10 hour drive from Poland to Vorarlberg, the most western part of Austria, in November 2014 that led to the brilliant idea to form a band. For some time now, Dubuis and Vogel share an extremely fertile playing field (HANG EM HIGH as Duo FREIWILD) where they, according to their message, find themselves like two brothers in spirit. Hence the pleasure of supplementing the team with the legendary men of low tones, Barry Guy is even bigger. Already from the first note we could sense that certain something, a special Swing & Groove, states a very enthusiastic Vogel and by listening to their debut feature HEAVY METAL RABBIT (Boomslang Records, Feb 2016) you can downright hear their joy of playing. Yet this album shows to be strikingly structured despite all its freestyle components. Poetic and excessive can this piece of music be characterized and from time to time a very unconventional and headstrong humour stands out. 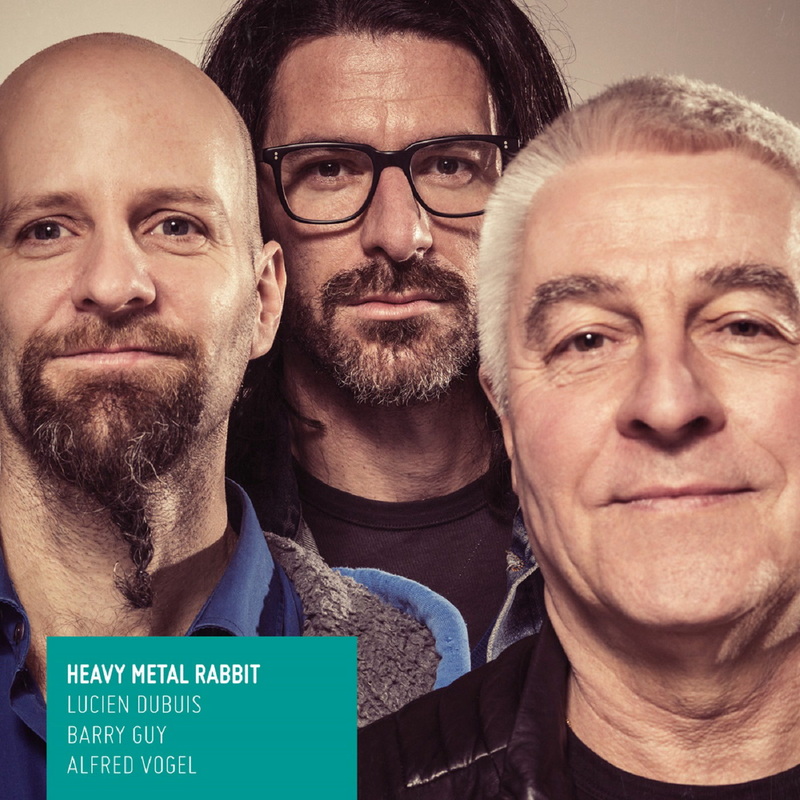 Rumour has it, that Barry Guy has seen a METAL RABBIT hopping across him on his way to the studio. The word HEAVY came as the logical outcome. But apparently no rodent has been harmed - in fact, quite the contrary: this band is as vitalizing as a 100 meter sprint across a field of carrots. 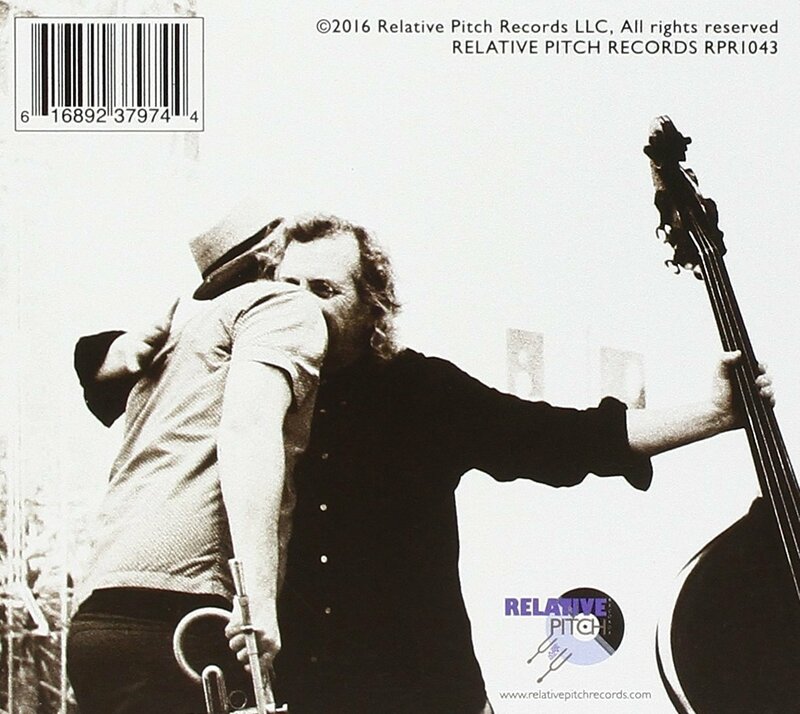 New York-based Michael Bisio is widely regarded around town as one of most poetic, sensitive and inventive bassists on the scene, and that reputation manifests in his associations with Matthew Shipp, Ivo Perelman, Joe McPhee, Charles Gayle and other living heavies of the avant-garde. How Bisio got to be, well, Bisio is what his latest album attempts to reveal. 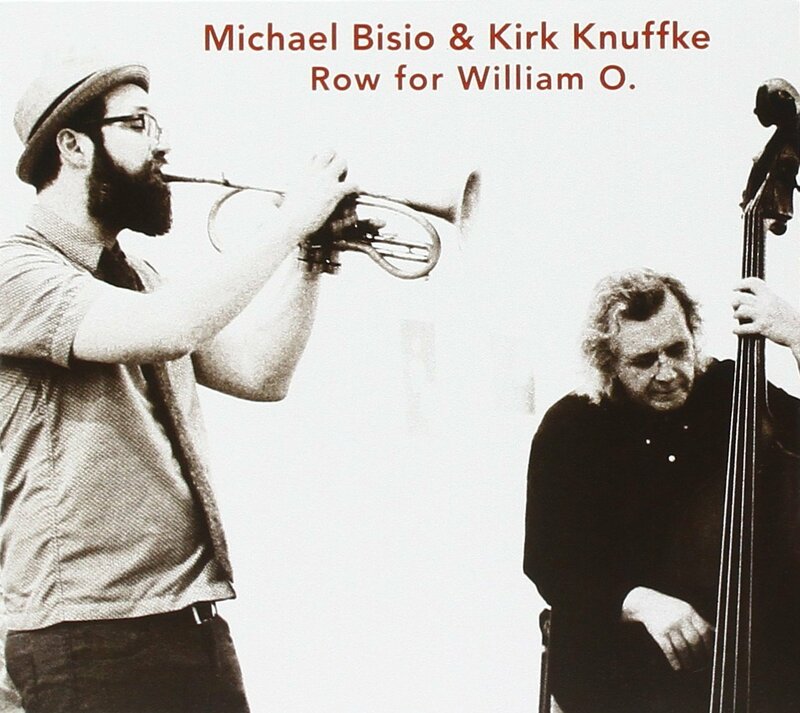 Row For William O. is a tribute to Bisio’s old composition teacher Bill (William O.) Smith, who taught him about playing note patterns in a row of ascending major thirds as one way to convey substantive beauty in simple ways, giving rise to the title of this release. Uncomplicated beauty is, after all, a hallmark of Bisio’s bass. Bisio is usually at his best interacting with other, like-minded musicians so he turned to cornetist Kirk Knuffke to play his foil and partner for this endeavor. Knuffke is a musician that Bisio rightly trusts to forge simpatico performances that are founded on soulful vigor, using virtuosity only as an enabling tool to achieve that. 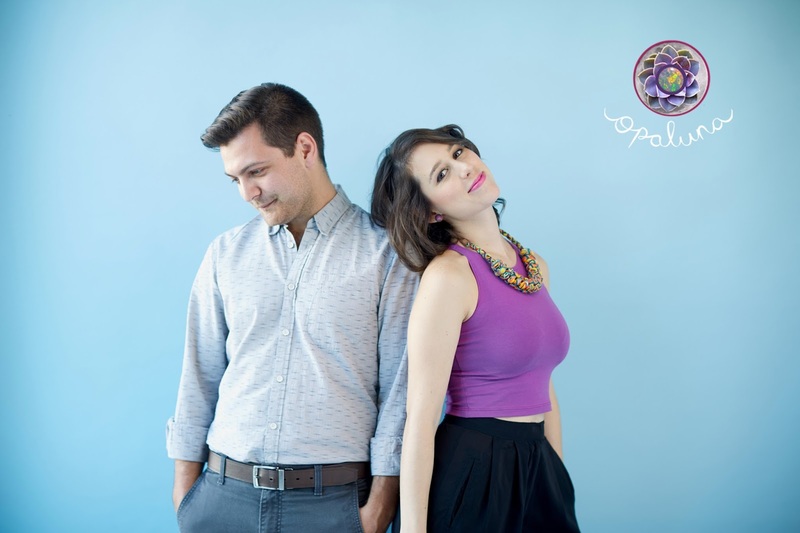 We’ve already heard the two make terrific art together in Bisio’s acclaimed Accortet last year but now the two practice an even purer form of spontaneous expression. Knuffke has his own tone and diction. Like Bisio, he finds ample room to express freely within the melody itself while remaining acutely aware of what his partner is doing at all times. That’s what makes the title track, a sequential series of motifs shaped by improvs, work so well in spite of the challenges inherent in a song of such complexity: Bisio plays arco bass in the classical style, while Knuffke picks up cues and puts his own mark on them. A new, solemn section opens up in the middle section, creating the conditions for Bisio put down some spidery figures and engage some serious conversing with Knuffke before finally settling into a groove figure. But most of the intrigue lies in how the two take traditional forms out to adventurous place. “Drago” begins as a scaled-down swing and ends that way too, but with a scamper for notes in-between. Bisio reworks his gorgeous melody from Accortet “I Want To Do To You What Spring Does To Cherry Trees,” where the two play to a rhythm section we can’t hear. But since it’s strongly inferred, Bisio is able to play loosely, picking up various thoughts harmonically attuned to the song alongside Knuffke’s sentimental cornet. A loping, paired figure opens “On See O.C.”, and they alternate be-bopping together and then around each other, and improvising as if of one mind. Knuffke takes a seat as Bisio deliberates with thoughtful conviction. 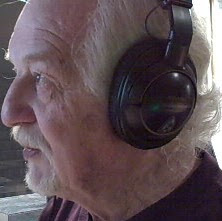 More of Bisio’s uniquely advanced and appealing musical personality can be found at nearly every turn with Knuffke intuitively facilitating and complementing. Row For William O. reveals Michael Bisio to be a great master because he is first and foremost such a good student.